Flow of Fluids is part of the PIPE-FLO family and is ideal for modeling smaller piping systems. Flow of Fluids simulates the operation of small piping systems transporting liquids and industrial gases under a variety of expected operating conditions. It also provides accurate results for series, branching, and looped systems (both open and closed) up to 25 pipelines. If you can draw your piping system, Flow of Fluids will show you how it operates. 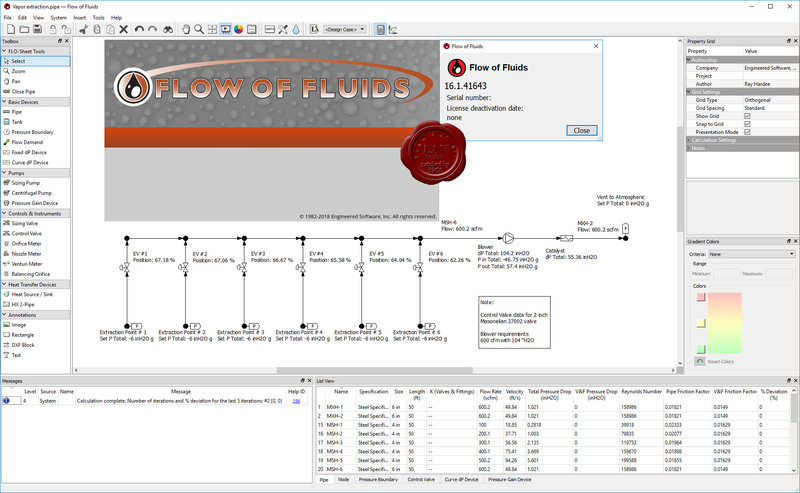 Engineered Software, Inc.’s PIPE-FLO Professional is the world’s leading fluid flow analysis and design modeling software tool. Within the PIPE-FLO platform, users can experience a variety of modules that solve specific challenges. These versatile tools provide value across multiple disciplines, industries and during all stages in the lifetime of a fluid piping system. They provide a common basis for operators, process and design engineers and management to understand, communicate and document their fluid piping systems and processes. 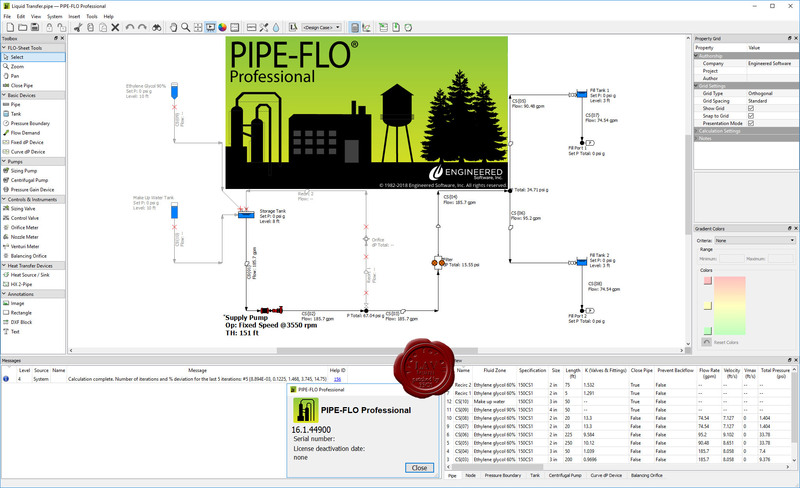 Equally applicable to process, support and distribution systems in commercial, industrial and public facilities, PIPE-FLO products are an invaluable tool for the design, commissioning, operation and modification of fluid piping systems. 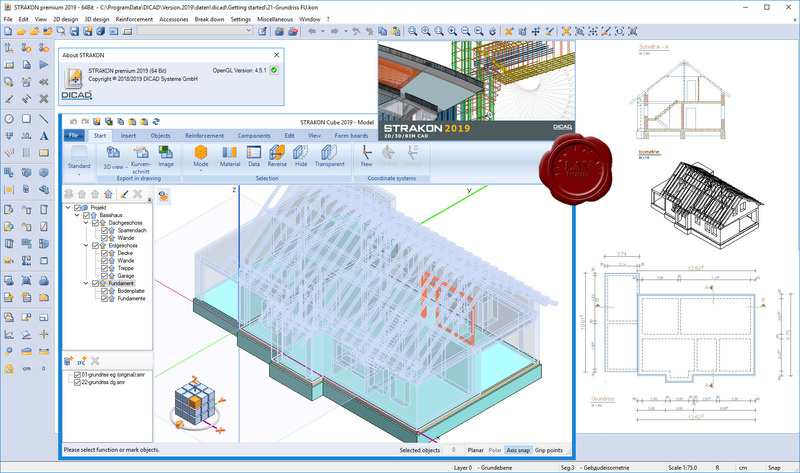 STRAKON is a 2D/3D/BIM CAD system for structural design. The focus is on formwork and reinforcement planning. You can create 2D or 3D plans. You can edit the project in BIM (Building Information Modeling) or only in 3D or 2D. The designer or project manager can decide within a project which method is required or useful. As changes during the phase of planning and construction are very common, a high degree of modification comfort is very important. Furthermore, cooperation with many project participants via fast electronic data transfer is absolutely essential. STRAKON allows you to communicate digitally with all project partners such as contractors, architectsa, structural engineers, MEP-planners, construction companies, etc. BIM in particular requires good interfaces in structural design, where formwork and reinforcement plans play a central role. Here IFC, CPIXML or 3D PDF offer a very good standard. With STRAKON you are excellently positioned in the field of formwork and reinforcement planning for the future. BIM is in increasing demand by both the public and the private sector. It is therefore important that a CAD system can be optimally integrated into BIM process chains in terms of formwork and reinforcement. The decisive factor here is that BIM should offers advantages for your office – in this case STRAKON can support you very well. DICAD is a member of buildingSMART and the structural design group and is actively working on changing planning methods a 3D/BIM processes. The focus of planning with STRAKON is in the field of formwork and reinforcement planning in 2D, 3D and BIM. With STRAKON you can work on different specialist fields. A structural engineer will find that STRAKON idealy supports his point of view when it comes to Structural engineering, civil engineering, bridge construction, precast construction, unitized construction and much more. But STRAKON can also be used for process in the fields of architecture, steel construction, timber construction etc. The rapidly growing number of STRAKON users shows that STRAKON is gaining more and more approval and becoming the standard system. 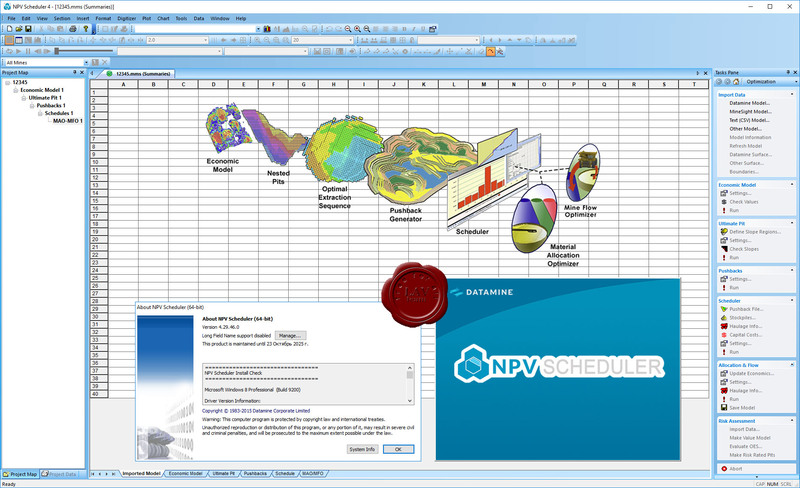 A complete strategic open pit mine planning system – NPV Scheduler has functionalities spanning everything from pit optimisation, pushback generation, cut-off grade optimisation, scheduling, haulage optimisation and stockpile management. The advanced system caters for alternative techniques beyond NPV for pit optimisation to take account of material blending requirements or to maximise mine life. The innovative pushback generator delivers the most practical pushbacks of any competing product and the scheduling capability includes optimisation techniques that look ahead to the entire life of the mine as opposed to considering just one period at a time. 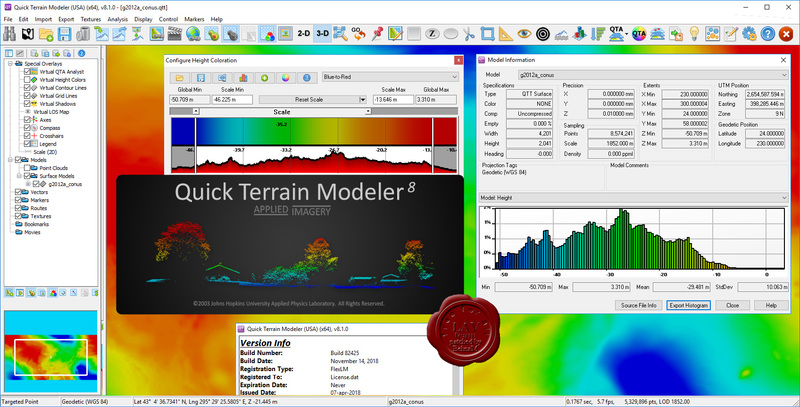 Quick Terrain Modeler is the world's premier 3D point cloud and terrain visualization software package. Designed for use with LiDAR, but flexible enough to accommodate other 3D data sources, Quick Terrain Modeler provides an easy to use software experience that allows users to work with significantly more data, render larger models, analyze data faster, and export a variety of products. These benefits enable very powerful, yet simple and intuitive, terrain exploitation. More info. Sample and training data can be found here. 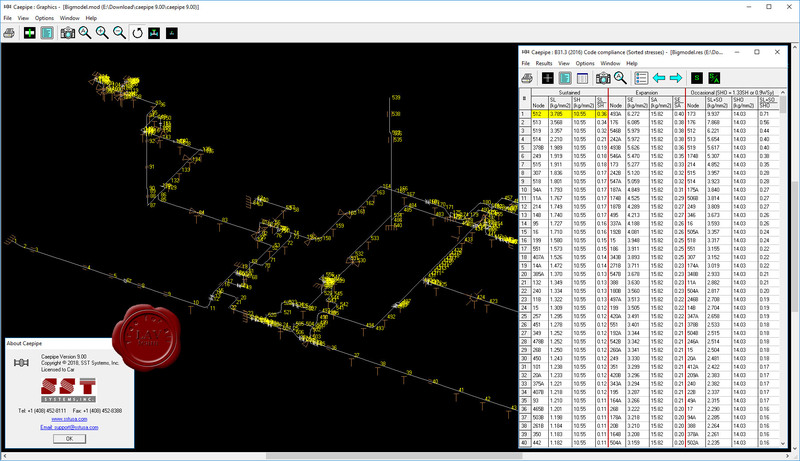 Caepipe is the first pipe stress analysis software on PC (1983), continues to be the preferred tool for static and dynamic stress analysis of piping systems of any complexity in any industry. With its world-acclaimed productivity-enhancing 3D modeler, Caepipelets you analyze for the effects of weight, pressure, temperature, earthquake, time varying and harmonic loads, among others, and interactively and iteratively design your system for optimum configuration in the shortest time. Caepipe also checks for piping code and guideline compliance (ASME, B31, International codes, API, NEMA) and can export data to select major plant design systems (AVEVA and CADMATIC currently). We offer many to import piping data from many platforms. 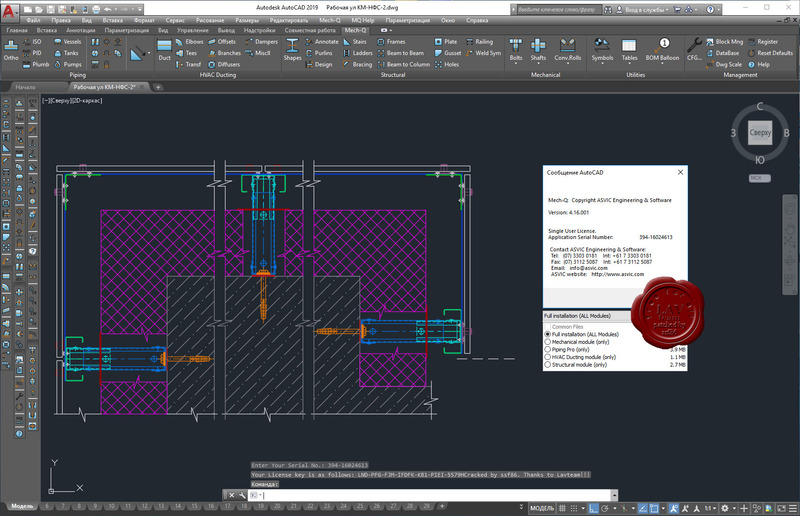 GeoTools is an add-on program for AutoCAD and Bricscad which provides you with a number of useful productivity tools that are designed exclusively for the geographic data user. It is a heterogenous collection of CAD tools that are useful for users in the mapping, surveying, GIS, facilities planning, real estate and infrastructure management industry. GeoTools is a time-saver productivity tools built for geo-data using CAD users who want to work smart and not hard. 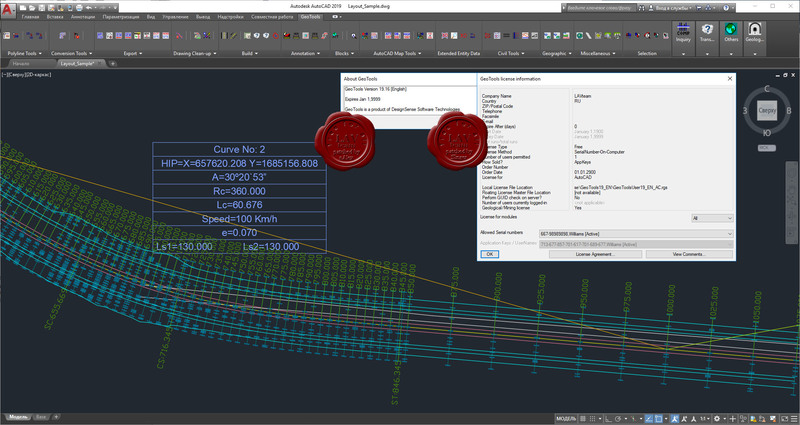 In the AutoCAD version of GeoTools, there are a large number of AutoCAD Map tools as well that making working with object data a breeze. GeoTools functions are arranged in easily categorized pull-down menus, toolbars and also as tabbed ribbons in AutoCAD 2013 and later versions. Some of the borad category of tools you will find in GeoTools are Polyline, Annotation, Drawing Cleanup, Digitizing, AutoCAD Map, Inquiry and so on. Comprehensive pipe, fittings, and valves. Create Rectangular, round and flat oval ducting. Includes range of mechanical symbols & housings, gears and more. Create steel details, shapes, stairs and more. 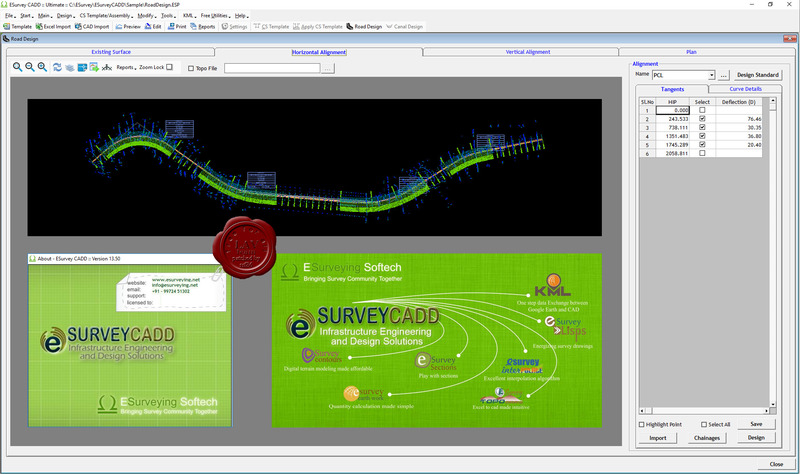 ESurvey CADD is a comprehensive software solution for Civil Survey Engineers for creating Contours Quickly, Section Generation for Volume Calculation, Earthwork Quantities (Quantity Takeoff) and Converting point data into Topographical map. Benefits: Save considerable time while generating drawing from field data. Detailed Layerised Output helps to process the drawing easily Avoid Creating terrain for Contour generation Separately Generate Presentable Quality Smooth contours Quickly Lightweight contours thereby reducing the drawing file size Generate Boundary, Grid Elevation, Grid annotation, Contours, Contour annotation in Single step. AutoPIPE Vessel provides you with cost-effective and accurate design of pressure vessels, heat exchangers, tanks, and air coolers. Reduce mistakes and time consuming manual revisions. Ensure greater efficiency with your supply chain and improved collaboration with engineering companies. Increase your efficiency through fully automatic vessel design optimization under all installation and operating conditions. 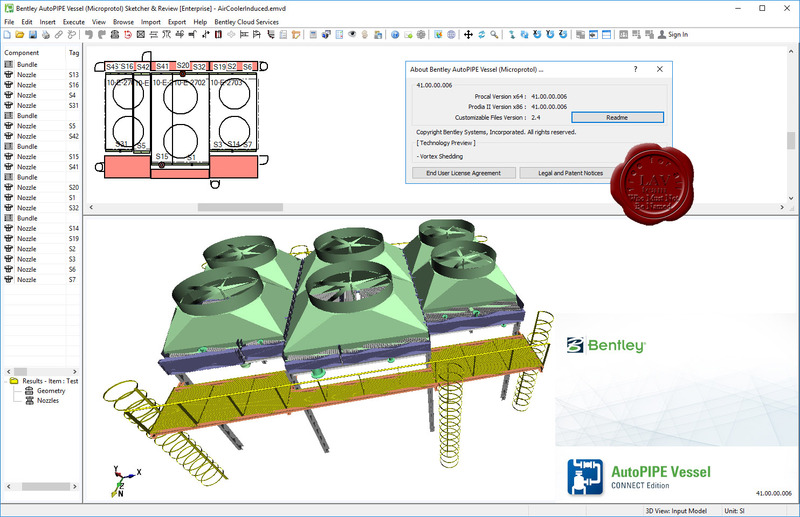 Increase productivity and provide accurate design for the safe operation of vessels under all loading conditions for pressure vessels, heat exchangers, tanks, and air coolers. Achieve compliance with regional and global standards, including pressure vessel design codes from the past 10 years and regional wind, seismic, wave, and blast-loading codes. Improve flexibility for re-rating and revamping existing vessels. You can design for both brownfield and greenfield projects, and shorten design time and rework by eliminating guesswork. Ensure confidence in vessel design and improve your competitiveness through higher design quality.